Action Packed Film 'Down for Whatever' is Coming to TV One in 2018! TV One recently announced production of the original film, 'Down for Whatever,' the network’s first film in the action-thriller genre. 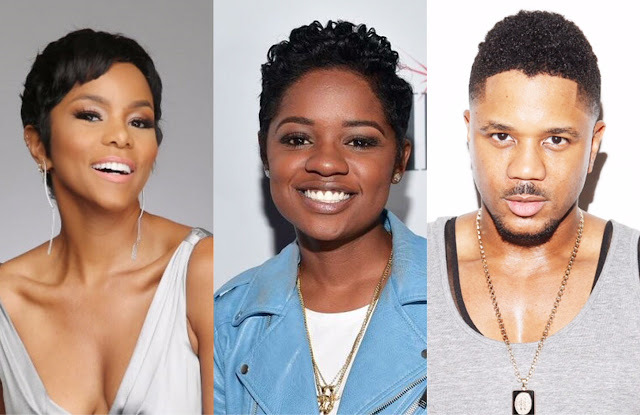 Written by Tim Folsome, the film is a 2017 American Black Film Festival (ABFF) winning screenplay, that will star fan favorite and newly married LeToya Luckett as Tracy, a young successful doctor and her detective husband Mike will be played by Hosea Chanchez of 'The Game' fame. Production will take place in Atlanta, Georgia. The couple are happily married but a sense of family has always been missing in their relationship. Tracy grew up in foster care and longs for the traditional family environment that she never had. When Mike suddenly loses his partner in a senseless cop-killing, Tracy is there to support him. That is, until she receives an unexpected visit from a social worker who informs her that the ruthless killers suspected in the murder are her biological sisters, Denise, played by Bre-Z of Empire fame and Sonya played by Imani Hakim of Everybody Hates Chris fame. Tracy is overwhelmed and in disbelief by the news, but before telling her husband, she decides to track her sisters down herself. Will she make it to them before the cops do? Remember how not too long ago, the only roles we saw black women in were as the best friend? Look at all our options now - comedy with Tracee Ellis Ross, Jenifer Lewis, and Issa Rae, drama with Kerry Washington, Rutina Wesley and Lynn Whitfield, talk shows like 'The Real,' 'Sister Circle,’ and ‘The Rundown With Robin Thede,’ and now action. It feels so good to have options. 'Down for Whatever' will premiere on TV One in July. Will you be watching?